TV: Gossip Girl Proves There’s No Such Thing as Wonder Woman. Last week’s Gossip Girl somewhat addressed this issue, with Blair and Chuck finally succumbing to their undeniable love and giving their relationship another shot. 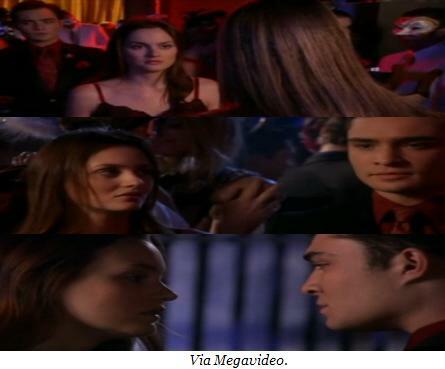 Their only reservations are that Chuck’s hotel, The Empire, will suffer if he banishes his bad boy image by getting back together with Blair, while positive opportunities for Blair, like taking over from Nate’s mother, Anne, as the face of the Girls Inc. foundation, will be jeopardised by the negative reputation of her boyfriend. While this prophecy turns out to be untrue for Chuck, with his business manager telling him his new-found image might work out for The Empire after all if Blair agrees to attend events as “Chuck Bass’s girlfriend”, Blair is told by Anne that the man in her life might not be a reflection of her, but she will always be a reflection of him. When Chuck says, “We really can have it all”, Blair tells him she wants to be “Secretary of State, except with better hair” not “Hillary Clinton in the White House ”. Chuck reasons that they can be like “Brad and Angelina” and “take turns on top” (with two strong characters like Blair and Chuck, I’m sure this is a contentious issue in their relationship! ), but Blair says she has to be Blair Waldorf and do something with her life, before she can be “Chuck Bass’s girlfriend”. While I beg to differ (as long as both partners in a relationship are supportive of one another, they can be successful in their own rights), this dilemma does echo those of powerful women today. As Blair says to Anne, “Should empowered women get to have relationships, too?” A common argument, though, seems to be that powerful women were too busy with their careers that they “forgot” to get married and have a baby. I’m sure marriage and a baby is the furthest thing from Blair’s mind right now (however, Chuck was set to propose to her last season), but I hope the writers use this development as the catalyst to set Blair on her merry way into the land of success, and potentially reunite her and Chuck at the end of the season. Until then, XOXO. Sexual Healing: Gossip Girl Takes a Page Out of John Irving’s Book. The Last Tango… For The Season. Gossip Girl Season Three Finale.